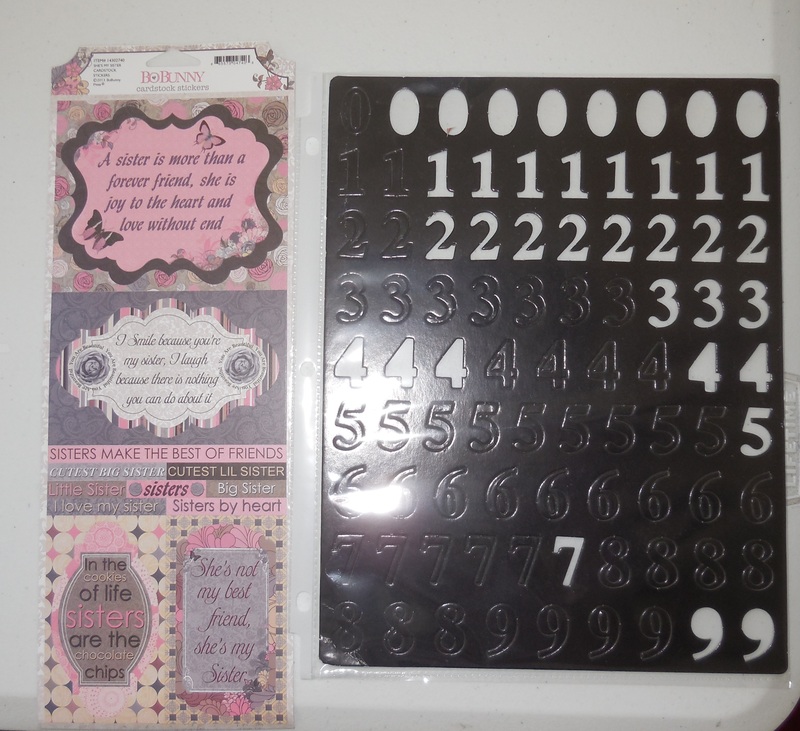 Heart die cut and ticket. 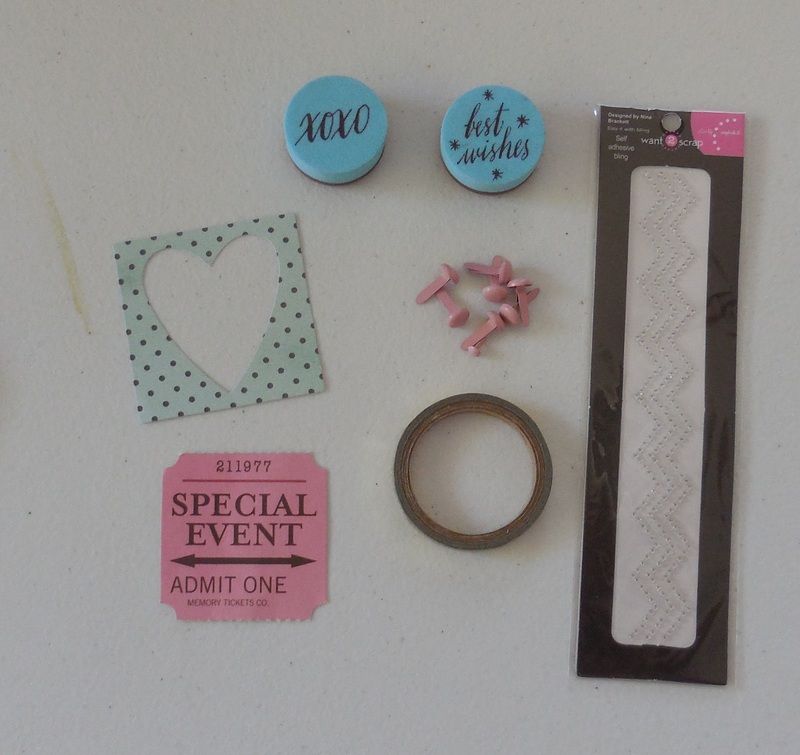 XOXO and best wishes foam stamps. 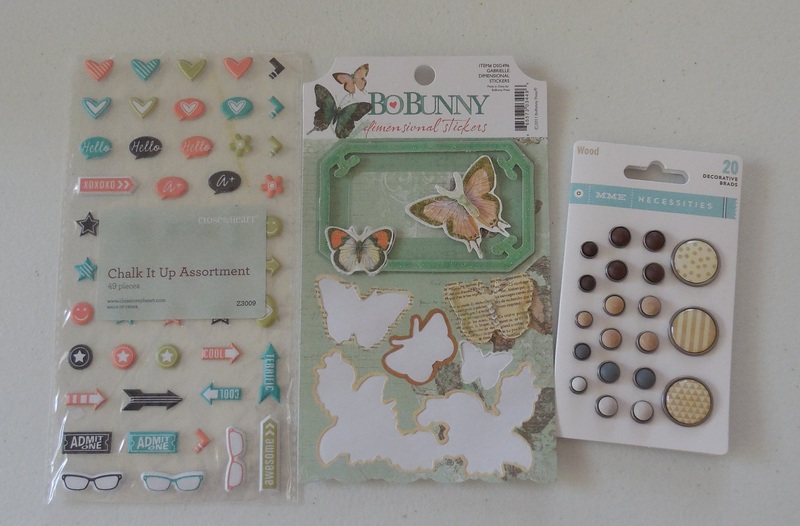 Bo Bunny “Gabrielle” stickers. As you can see, I’ve used half of it. Need to use them up! 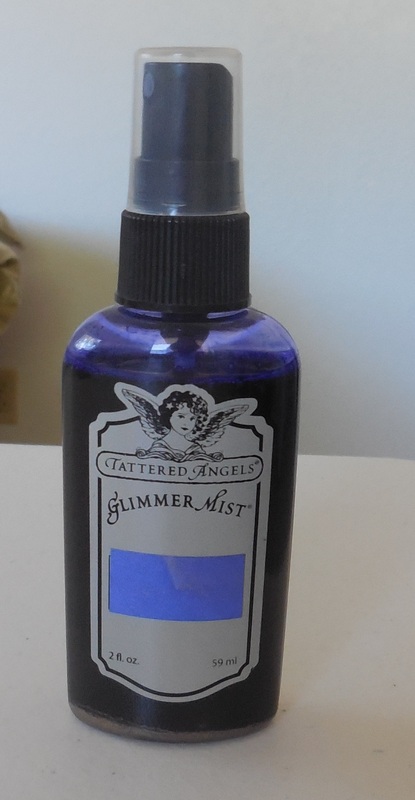 Tattered Angels Glimmer Mist in “Night B4 Christmas”. Its a purplish blue. I use my mists all the time..but look how full it is? I don’t think its a color I gravitate to. 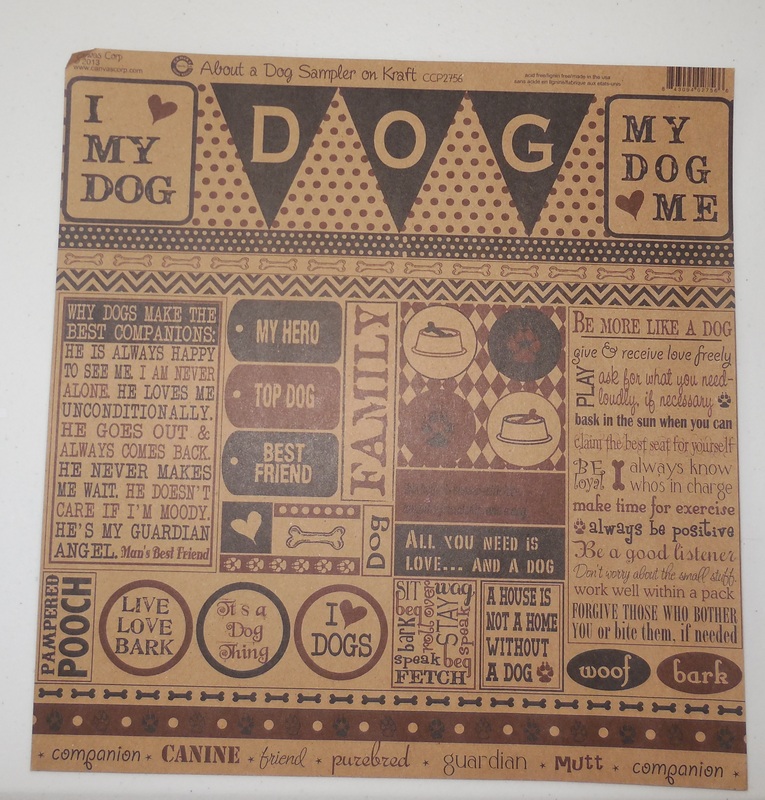 Canvas Corp “Dog Sampler” pattern paper. Its my last and final sheet. I could have a blast at fussy cutting all of this! Basic Grey “Paper Cottage” collection. 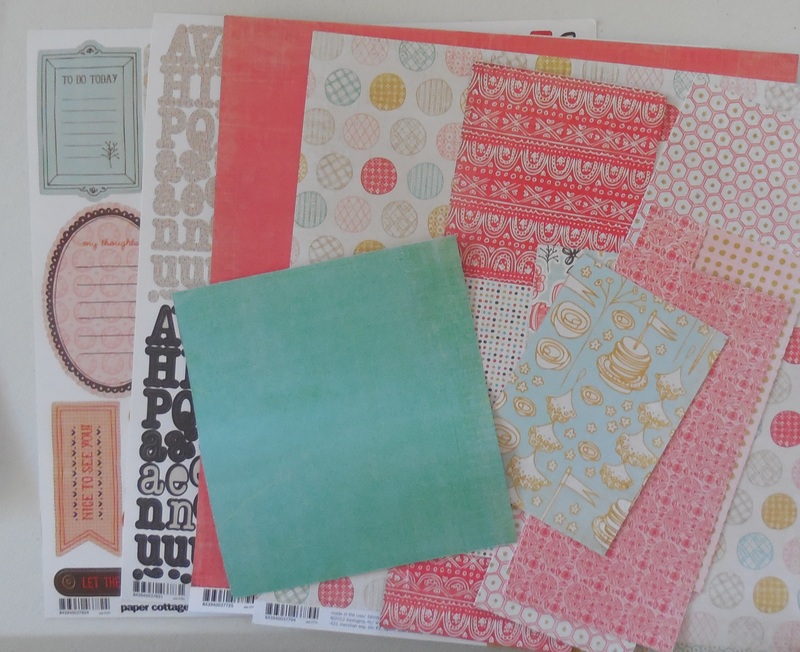 I’m down to alphas, sticker sheet, 2 whole sheets and scraps. I’d like to polish this collection off! Thank you Marie! I’ve been using up some older stash ever since I started challenging myself to use it. 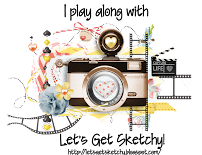 Its been fun!